Marty Cauley: Whose am I? 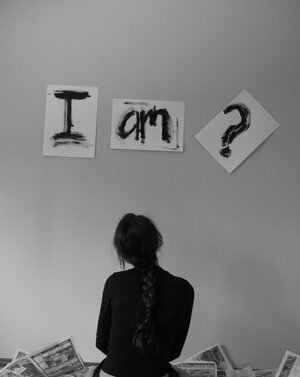 A question of identity. Whose am I? A question of identity. My real identity comes from Genesis 1:27, where the scripture tells me that I was created in the “imago Dei,” the image of God. As a child in the image of God my identity is not bound to a role I play but in whose I am and who I have allowed to form me. Over and over the scripture reminds me that my identity is a gift from God, a gift of grace, not earned or deserved. That my present reality and my future destiny are in the hands of the one who has “the whole world in His hands.” Those are the very hands that formed me in my mother’s womb, who knew me before I was born, and who wrote my name in “the book.” Those were the hands that were nailed to the cross and by His stripes my healing has already been paid for. My identity is not bound to the job I have or the roles I play but to the God I serve who loved me long before I loved him. But the world deforms my identity. In so many ways people and circumstances seek to define me in the image they desire for me. It’s not just me. I have spoken to so many people who were the victims of abusive relationships and that relationship keeps striving to define who they are long after it has ended. Long after the woman has escaped the manipulative abuser of her youth, the voice of that person still haunts her. Long after my own father has died, I sometimes still find myself allowing myself to be defined by his absence and my attempts to overcompensate. The world that is separated from God keeps trying to define me. On those days when I forget that my identity is founded in God and grounded in Christ’s life, death, and resurrection, I allow those voices to have power over me. Before long I begin defining my identity by my tasks, my roles, my job rather than by the presence of Christ within me and the hands of God that formed me. Christ came to transform my identity (and your identity) back to who God made me to be. I am known and loved by the Creator of the universe. Which brings up your understanding of “Who is God?” This is a huge question. When Jesus was confronted with this question He told a story. Remember in Luke 15 the story of the lost sons? Oh, you probably heard it as the story of the Prodigal Son, but that is only one piece of the three-piece narrative. The story is also about how both brothers had a skewed and deformed idea about who their dad really was and about who they were. One thought that he couldn’t be loved because he made a huge life mistake. The other thought he could only be loved if he worked hard to deserve the father’s affection. Both were wrong. The father (God) loved them because they were his children. He loved them because of whose they were, not who they were. Their identity was not in what they did or did not do, not in the roles they played but in who their dad was. This story has really captured my imagination in recent days. It affirms something that I have struggled with since I was a child. It tells me that my identity (and your identity) cannot be defined by my personal achievements, awards, or what role I play unless I allow it to be. My true identity is in Christ. The Bible tells us that by His sacrifice we have become “joint heirs,” that we are fully embraced and totally loved children of God. Then we are free to pursue what God calls us to do and to be, not limited by the constraints and confines of others. Real freedom comes from a life of complete surrender. Every “accomplishment” becomes an act of thanksgiving to God who loves us unconditionally. What you doe matters! What matters more is who you do it for. Whoever you are giving the power to define you is your own personal version of “god.” Do not give the power to define you to your past. Sure you have made mistakes, maybe huge, gigantic, overwhelming mistakes, but even though those mistakes may have consequences, they do not define you. Do not give the power to define you over to painful relationships. Yes, people have used your vulnerability as a weapon; they have been hurtful, manipulative, and maybe even abusive. If you have been in that situation, get professional help. But I want to remind you that this relationship does not have the power to define you; your identity is not defined by who that person is, but it is defined by whose you are—a beloved child of God. Do not give the power to define you over to your present circumstances. It may be a dark day, but the one who brought light into the world seeks to welcome you and re-define you by reminding you that Christ is alive in you and seeks to transform you.